Reentering the world of Twin Peaks was always going to be like stepping into murky water with a sign nearby warning of poisonous jellyfish—bizarre, unsettling, and filled with tension. It’s been more than 20 years since the original cult classic show aired (and was soon canceled), Kyle MacLachlan and the gang are showing their age, and no one remembers what happened at the end of season two. But this time, David Lynch is directing, so the process is weirder. What makes the new series an odd adjustment? Well, Lynch and co-creator Mark Frost have all but abandoned the show’s original woodsy Pacific Northwestern location. Instead, they’ve set up in ultra-modern, concrete Manhattan and barren middle-of-nowhere South Dakota. Gone are the firs and whiffs of pine, and with them a certain small-town kookiness. Bumbling cop Andy (Harry Goaz) and his chirpy wife Lucy (Kimmy Robertson) appear briefly with their familiar brand of naïve comedy, but the rest of season three was played almost entirely without laughs. 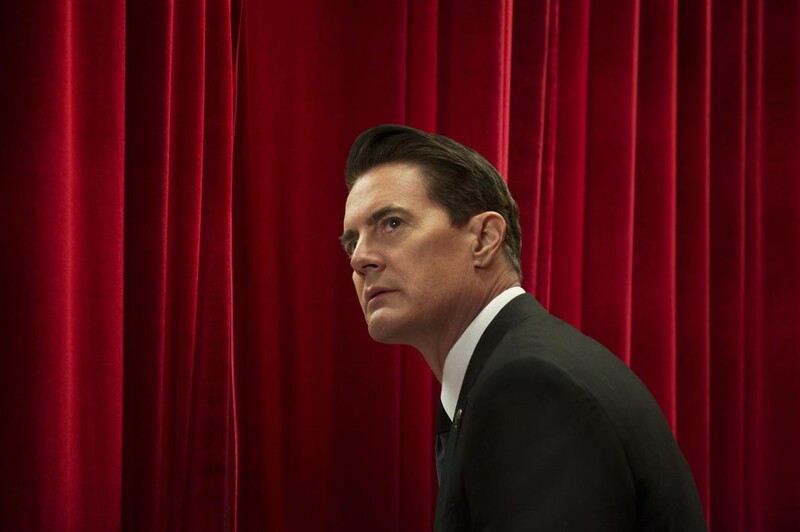 Cooper (MacLachlan) is stony-faced, still trapped in the Black Lodge; his evil doppelgänger, Mr. C (also MacLachlan), is a grim figure with long greasy hair and a leather jacket. We spend much of our time concerned with two gruesome murders—one a mystery and the other committed by Mr. C. By focusing on corpses and how they became corpses, the series revival is darker than its predecessor. What hasn’t changed, though, is the sense that everyone in Lynch and Frost’s world is just a little off—it is rare to hear a line of dialogue that doesn’t pointedly address its recipient by name—but even this kook has become more serious; the names slide in on top of dialogue about decapitated heads. Perhaps this is a reflection of modern entertainment’s emphasis on achieving that single lauded dimension: grit. Normally, though, grit grants realism. Not bound by the restraints of broadcast television, and emboldened by fan clamor for a show that, when it went off the air in 1991, was pushing ABC’s artistic limits, Lynch strides freely into the warped recesses of his otherworldly Black Lodge and his own wild mind. Much of the first two episodes are spent half-dreaming: The dead-yet-alive Laura Palmer (Sheryl Lee) makes a surprising return; a speaking, electrified tree tells Cooper that he can’t leave the Lodge until he brings back his evil doppelgänger only to be followed by the appearance of the tree’s evil doppelgänger. It is well and truly weird. These dream sequences are deliberately paced (indeed the show as a whole never feels hurried), suggesting that the full 18-hour span of the new series might be more like one huge movie than discrete episodes. The lingering effect of all those slow shots is classic Lynch: The dream and the real are juxtaposed in a way that picks apart the dividing line. This process is helped greatly by ominous humming and buzzing in the background that suggest terrors where there ought to be none—at the end of a hallway, or in a plain statue. Or, in classic Lynch fashion, we are forced to wonder whether we just don’t notice them. Sometimes, though, all that dreaminess and stylization can be grating. The dialogue is sometimes so strange that it crosses that ever-ambiguous line between stylization and simply bad content. Even MacLachlan, otherwise virtuosic (his weighty, ponderous confusion as Cooper, his purposeful though unclearly-motivated malevolence as Mr. C), falls victim to the script occasionally. With less accomplished actors, notably the young couple responsible for monitoring (don’t ask) a glass box in which *something* might appear, the moments of unnatural dialogue feel cringey instead of just strange. The storyline is also plagued by a lack of direction at times. Mr. C is evil, but…why? He radiates fear without clear direction. There is one moving plot—the investigation of the most recent brutalized corpse—but it is given short shrift and soon left behind, despite an abundance of excellent elements, like the paranoid, simian panic that makes accused murderer William Hastings (Matthew Lillard) so damn frightening. Finally, there is a notable lack of non-white, non-male characters in lead roles; the few exceptions are returners, not new characters. It is a subtle but important indication of the creators’ failure to update the show to match the diversity on television today. But, even after all that, watching the new Twin Peaks feels like watching the old Twin Peaks. That is to say: It’s weird and entirely its own. It is not nostalgic or sentimental—this new season is not warmed-up leftovers—but it is occasionally tender, affectionate to the Americana in which it was percolated. It is menacing and nightmarish but rooted tightly in reality, occasionally so close to home that it forces us to wonder where the boundaries of the good and comprehensible not just in the show but perhaps in our own lives as well. It is modern and has been polished since its original rough bumpkin-hood, but is still just as strange and idiosyncratic. It isn’t perfect. But it is still so good to see those words in the classic Twin Peaks green text: "Directed by David Lynch." No one can do it quite like him.